Life is busy. Sometimes we don’t have time to run out and buy shaving cream, or we’re packing for a trip and forget our dry shampoo. It’s great to keep your beauty arsenal stocked, but in the event you don’t have a staple available there’s a slew of swaps you can make. You may discover you are so pleased with your multi-purpose products that you’ll keep on using them (and save lots of cash in the process!). This can be a godsend, especially when traveling. Wendy Lewis of BeautyintheBag.com points out those travel-sized bottles we find in hotel bathrooms can work for hands, frizzy split ends, eye cream and more. Shampoo can double as body wash, and if you’re stuck in an airport hotel on an unexpected layover, a few drops can serve to wash out undies and pantyhose in the sink, says Lewis. If you ever run out of shaving cream, don’t just forgo shaving entirely. In a pinch, you can apply conditioner in the same way you’d use shaving cream. Have smooth legs and protect yourself from nicks and scrapes! Popular skin care brands have been touting “cleansing oil” for years and years. Allison Tray of Tres Belle Spa in New York says you can reap the benefits too if you try a dab of coconut oil on your face before you add water. Rinse and then wipe with a damp cloth. You can even use coconut oil sparingly to remove waterproof makeup. Your skin will be left clean and hydrated. A dab of coconut oil can also be used to tame frizzy hair, too. Another inexpensive grocery store gem! Rose Prieto, LE, CPE, CPCP of Beauty and Brow Lounge suggests combining baking soda with hydrogen peroxide and brush the mixture onto your teeth for a whitening effect that’s incredibly effective and chemical-free. You can also combine baking soda and water to a small spray bottle, allow the soda to dissolve and use it as a go-to deodorant; it works at keeping odor at bay without the use of harmful aluminum (which is used in some deodorants). When your hair is feeling weighed-down by styling products, add a teaspoon of baking soda to your shampoo for an amazing clarifier. “But my absolute favorite use for that little yellow box is an at-home micro-dermabrasion treatment. Take a small bowl and combine baking soda with your favorite cleanser. Combine to form a paste and add a few drops of water if needed to thin it out a bit. Apply the scrub to wet skin and work it into circular motions for a solid minute, concentrating on areas with the most congestion, like the nose, chin and forehead. Rinse your face thoroughly and immediately wipe the face with a toner,” says Prieto. This scrub will leave your skin super soft, incredibly exfoliated. However, baking soda is alkaline, therefore, toning skin afterwards is a must. Baking soda is also a great dry shampoo alternative! Out of cuticle oil? Rub some chapstick on your cuticles to keep them soft and healthy. You’ll want to make sure it’s the non-tinted kind, though! Mascara is a beauty-arsenal must-have. It’s great on lashes, can double as liner, and can make the difference between done and undone. However, replacing that tube every 2-3 months is essential for good hygiene. Before you throw away that tube, however, toss it into your brush drawer instead. “If you’re like me, living with grays and waiting to get your roots dyed is not an option,” says Prieto. Whatever reason you dye your hair, the next time your roots come out to play, swipe the old mascara onto those pesky strands and watch them blend seamlessly into your hair. Of course, make sure the mascara you choose coordinates with your hair color. It can buy you a few weeks before your next hair appointment! 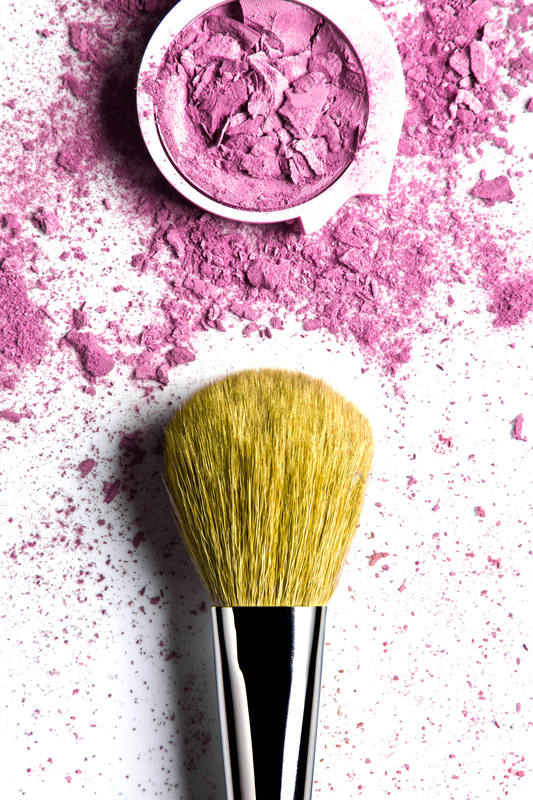 Whether it’s eyeshadow or red lipstick, never take a product at face value. Brown eyeshadow can be used to shade in sparse eyebrows, and it can be used as eyeliner (by softly brushing the shadow onto the lower lashes).. If you’d like a deeper, more intense affect, simply wet your eyeliner or brow brush and dip the wet brush into the pigment. If using the wet pigment on your brows, Prieto suggests lightly blotting the brush first before you apply. We never leave home without mascara. In the event you do forget, though — dab a bit of Vaseline on your fingers and apply to your lashes. It’ll help them to look darker and shinier. Also try this tip if you’ll be at the pool or running around in the rain, it’s a great way to have the impact of eye makeup sans the raccoon eyes!